As Solid Solutions Group grows, our employees are proud to support charities that are very close to their hearts – this way we know we’re selecting a partner charity that will make a real difference in our community. For us, doing good isn’t just about local charities. We also help support a charity in Kenya, which was founded by one of our employees. Scroll down to find out more about the charities we support and our amazing people who work with them directly. 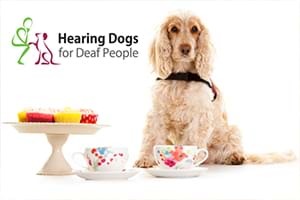 About this charity: Hearing Dogs trains clever dogs to help deaf people – they train dogs to alert deaf people to sounds they would otherwise miss – simple sounds that many people take for granted like the doorbell, alarm clock and even danger signals like the fire alarm. 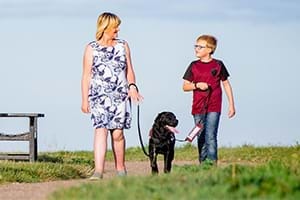 Being aware of these – thanks to a hearing dog – makes a real difference to deaf people’s lives. About the volunteer: Leanne has worked with Solid Solutions Group for nearly 5 years, originally employed by NT CAD CAM. She thinks it’s a great idea to have a day free to be able to support this charity as it helps make someone else’s life so much better and easier. 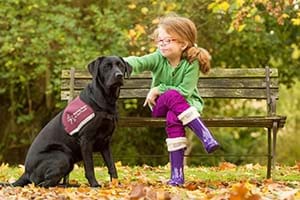 Leanne’s parents are now retired and spend their spare time training hearing dogs. The charity is not far from where she lives and she’s happy to be able to help take the dogs out for walks etc as the charity usually struggles to get help from volunteers. 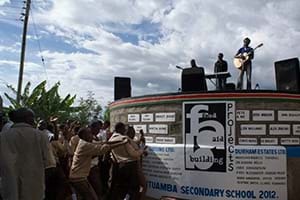 About this charity: FAB Projects is a UK registered charity that works in the heart of some of Kenya's poorest and most neglected communities. Primarily FAB focuses on water projects, using their own 'FAB Tank' design to harvest and store rainwater. 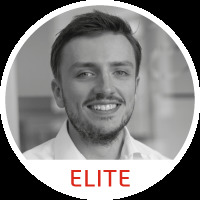 Founded in 2009 by our Customer Experience Manager, Peter Harkness, the charity started after Peter travelled to East Africa in the middle of a terrible year of drought and civil unrest resulting in large scale population displacement further compounding an already dire situation. They gained official UK Charity status in 2013 – charity number 1150498. About the volunteer: Peter has worked at Solid Solutions for 6 years and he thanks the company for its generosity in supporting his volunteering work and giving him the time he occasionally needs to start new projects and catch up on administrative work. According to Peter, without this assistance it would have been hard to keep on top of the charity alongside his regular work. So far the charity has constructed 8 water tanks and 2 greenhouses in Kenya providing millions of litres of water and basic sustenance to thousands of children’s schools living in drought affected areas. They chose to build water tanks the ‘old school way’ with bricks and mortar meaning they could last 200+ years with regular maintenance. 2019 is the 10th year anniversary of FAB Projects and they will be running their first restoration project then. 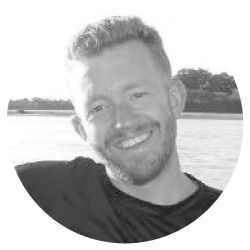 Peter works in the UK liaising with the charity’s Operations Coordinator and Co-Founder in Kenya. In the day he was given by the company to work on the charity, Peter will coordinate the charity’s projects for this year. He will revisit all of their past projects and examine the structures they have constructed over the years for maintenance but also to assess the ongoing benefits they are providing. They are keen to establish the additional benefits gained by construction of a large greenhouse at one of their project sites, hoping this will be a solution they can roll out to other locations. In addition, Peter also hopes to use the rest of his time to develop further the new FAB Projects website which will be launched in 2019. 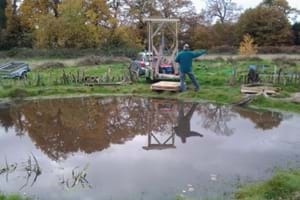 About this charity: Woodcroft Wildspace is in Winchmore Hill but it is not just for the benefit of residents of that area. The wildspace is for everyone to enjoy. It is a place where people can bring their children to learn about nature - insects, birds, small mammals, pond life, plants and trees in a natural habitat. This is especially beneficial for those who do not have the luxury of their own garden. Everyone is invited to come along and both help the series of projects have in action as well as to see the wildspace. 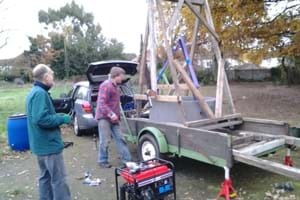 Woodcroft Wildspace started life in 2003 with the formation of the Friends of Woodcroft with about a dozen people. Since then they have grown to over 1000 and still growing. 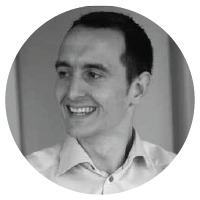 About the volunteer: Dan has worked at Solid Solutions for just under 2 years (11 months at Cadtek). It means a lot to him to have a day free to work in the charity as he thinks it is important for companies and people to create a positive impact on their environment and communities. Dan has always liked to volunteer whenever he has the time, having done a few projects in the UK and overseas, he finds volunteering a very rewarding experience. 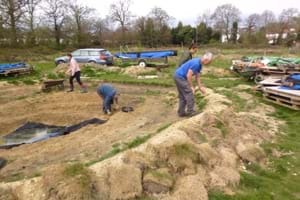 He chose this charity as he wanted to give something back to his local community and wanted to support a local charity, especially something related to nature. Not everyone has the access to green space or a garden, so this nature reserve is for everyone to enjoy, not just the local residents. It is a place where people of all ages can come to learn about nature - insects, birds, small mammals, pond life, plants and trees in a natural habitat. Dan will volunteer as a supervisor to assist the team in running programmes of activities agreed and mapped out for each visit. 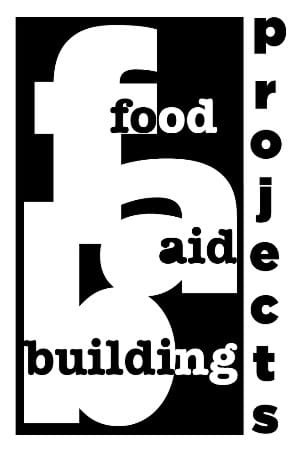 About this charity: Habitat for Humanity International was founded in 1976 by Millard and Linda Fuller. Today, Habitat for Humanity is a true world leader in addressing the issues of poverty housing. 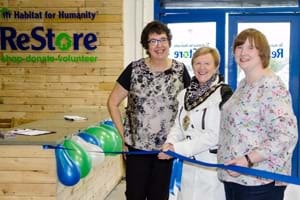 Habitat for Humanity Northern Ireland was established in 1994 by Peter Farquharson and his wife Jane McCarthy. When Habitat NI was established, Northern Ireland was still in the grip of ‘The Troubles’ and segregation of communities was at its most extreme. 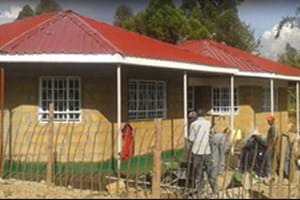 Peter envisioned to use the Habitat model locally as a way for communities and individuals to rebuild trust and restore relationships; bring Catholics and Protestants together to build houses with families in need – simply to build houses, build community and build hope. 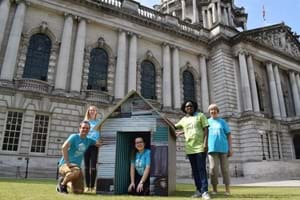 21 years on the Habitat model has proved to be a success in Northern Ireland, bringing together more than 25,000 volunteers from all backgrounds and faiths to work together for the good of families in need. He has volunteered with this charity back in 2006 on a trip to South Africa to work in Wallacedene, Cape Town. 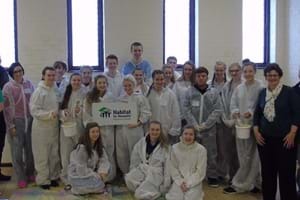 Tim maintained his interest since then as they have continued to develop a presence locally in Ireland, most recently with their not for profit DIY stores.